Located in the City Centre at Eyre Square next to the Bus & Train Station! All Galway attractions and nightlife are a 2 minute walk. Our team consistently win awards for exceptional customer service. We go above and beyond to ensure you enjoy your time with us. Daily tours to The Cliffs of Moher, Connemara and The Aran Islands. Book direct with us when you arrive for the guaranteed best rates. I don’t usually make reviews but this hostel is probably the best I’ve ever stayed in. It’s clean, the facilities are great and it has a friendly atmosphere. The receptionist from Québec, I believe her name is Camille, was SO helpful and lovely. She gave me advice for all of Ireland, printed off bus and plane tickets, and made bookings for me. Thank you very much ? Amazing staff… Genuinely more attentive than a 5* hotel. Dorms are clean & warm. Excellent bathroom / shower facilities. Very friendly reception staff. Complimentary breakfast perfect to get you set for a day of touring! !! 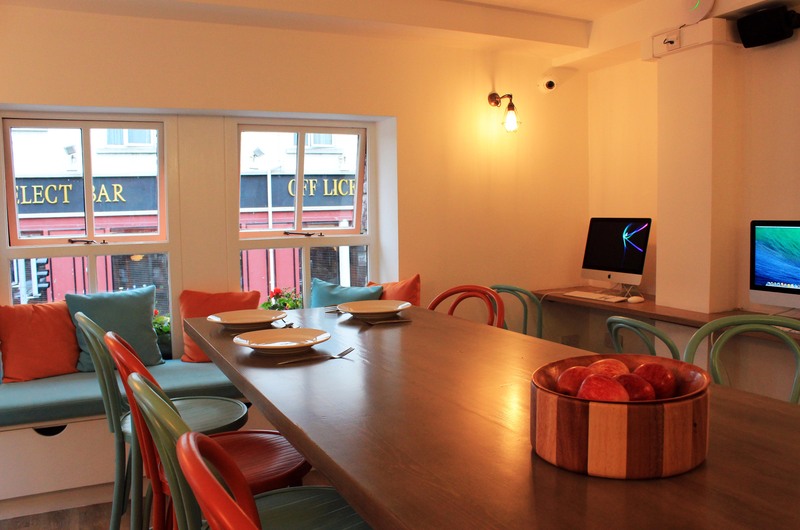 I loved my stay at Galway City Hostel!! Absolutely perfect location, it’s literally across the street from the bus station. Too easy. And very close to the main town center. Very clean, and pretty comfy beds!! I wish I could have stayed longer!! Galway was my favorite city on my week long trip around Ireland and the City hostel made it all the better! I just completed my first solo backpacking trip and this was a great place to meet people! I stayed in a 6 bed female dorm and both nights met some great girls to head out to the pubs with! I even ran into a few of them a few nights later in Dublin! 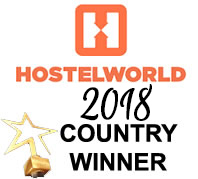 They make everything that could be difficult about a hostel easy: Located literally across the street from the train station, chargers at the beds, floor space in the rooms, easy to rent towels and locks, breakfast in the morning, clean bathrooms, and wifi throughout! Definitely recommended for solo travelers! I stayed here for three nights in total and found this hostel to have no faults! The rooms were clean, had good security and good sized lockers for leaving bags in during the day. The bathrooms were clean also! 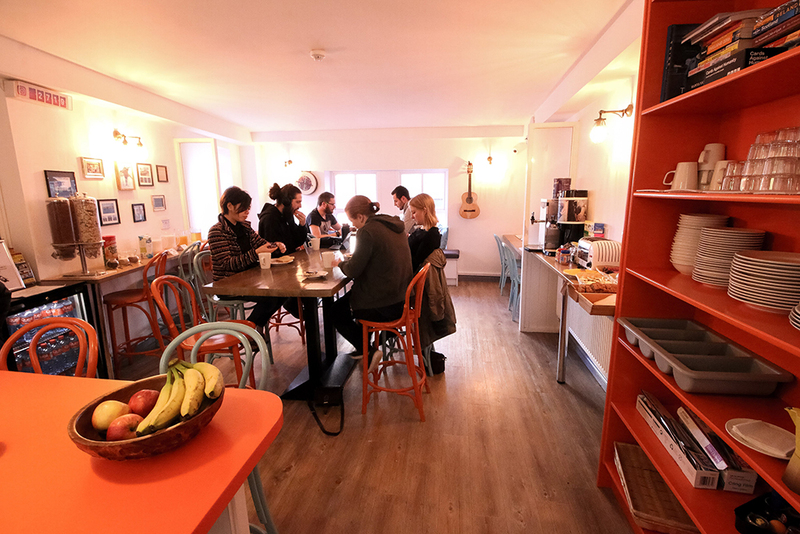 The hostel has a really good vibe to it-staff are lovely and the living/common room is open and is great for meeting other travelers and just relaxing a little. It is in a good location too-close to buses and just a short stroll to the main street. The little pub directly below is also great for some pints and live Irish music of a night! The hostel is literally to the right of the bus station! It is down the block from the coach station for all the tours of Galway. 5 minute walk to all the pubs and restaurants! a perfect location in town! The staff are amazing! Very helpful with any questions about the town or sightseeing. Mark and Brian are THE BEST! The meet-and-greet on Sunday nights are a fun way to meet people. Wi-Fi was good in the rooms. The bathrooms and bedrooms were very clean. def recommend! I have stayed in various hostels throughout the U.S, but this was my first outside the states. I can sincerely say, without question, it was the best one yet. I traveled solo and was somewhat reluctant of how I would experience the city. Luckily the staff were so friendly and helpful. my reservations immediately faded. They went above and beyond to ensure my visit was nothing short of amazing. The hostel itself was incredibly clean, welcoming, and ideally located. I’ll certainly be returning! By far one of the nicest, best hostels iv stayed in! Sarah and the rest of the staff are fantastic and get to know you on a personal level. Located in a prime location, the hostel is perfect for any traveller. Super clean facilities and nice newly renovated spaces. Definitely recommend this hostel for your next stay.